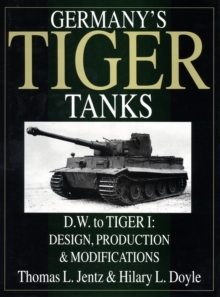 This first volume, of a three-volume set, covers the history, development and production history of the Tiger tank variants from the idea's conception to the end of Tiger I production. 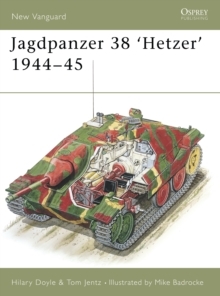 This includes details on the development series known as the D.W., VK 30.01(H), VK 30.01(P), VK 36.01(H), VK 45.01(P) as well as the Tiger I. All of this illustrated with scale drawings by Hilary L.
Doyle, combined with drawings, sketches, and photographs depicting external modifications as well as internal views. 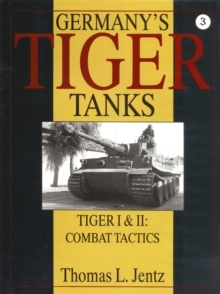 Over thirty years of intensive research went into finding the original documents needed to create this history of the development, characteristics, and tactical capabilities of the Tiger. 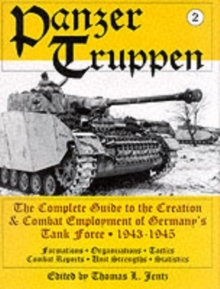 An exhaustive search was made for surviving records of the design/assembly firms (including Krupp, Henschel, Porsche, and Wegmann), the Heereswaffenamt, the Generalinspekteur der Panzertruppen, the D656 series of manuals on the Tiger, and the war diaries with their supporting reports from German army units. 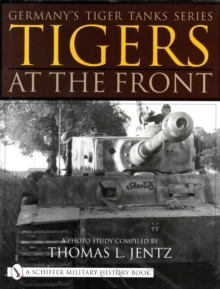 This is supplemented by the authors' collecting hundreds of photos and climbing over, under, around, and through nearly every surviving Tiger I.